Now that we have that out of the way. Andrew Bird has been doing this for awhile now. Since his short stint in Squirrel Nut Zippers, My Finest Work Yet is his 12th album. You've heard him on The Current on the regular since its inception 14 years ago. He's like a painter creating his art with his violin flourishes and brushstrokes of piano. Oh, and he often whistles while he works! There is no shortage of whistling on My Finest Work Yet, but, I get a sense there is a lot more going on than his whistling. The opening track, "Sisyphus" takes its name from was the king of Ephyra (now known as Corinth). According to Wikipedia, "he was punished for his self-aggrandizing craftiness and deceitfulness by being forced to roll an immense boulder up a hill only for it to roll down when it nears the top, repeating this action for eternity." There might be a bigger theme at work here. There is a lot to digest on My Finest Work Yet, there is also plenty to enjoy. "Bloodless," sounds almost like Dave Brubeck's "Take Five" with Bird's vocals laid atop. It's gorgeous, as he sings, "1956 in Catalonia!" The thing I really love about this album is how organic it is. It's simply strings, piano, drums and maybe a touch of organ and the aforementioned whistling. He's also a pretty interesting lyricist as evidenced in "Archipelago," a sort of chamber pop tune, where Bird references J. Edgar Hoover and features the lyric, "Three headed monster swallows Tokyo"
Bird has plenty of ideas up his sleeve. "Manifest," has a sprawling Laurel Canyon vibe, with more of that signature whistling and an arrangement straight out of the Van Dyke Parks play book. "Olympians" has a jaunty, 70's pop rock feel and is almost in Father John Misty territory. 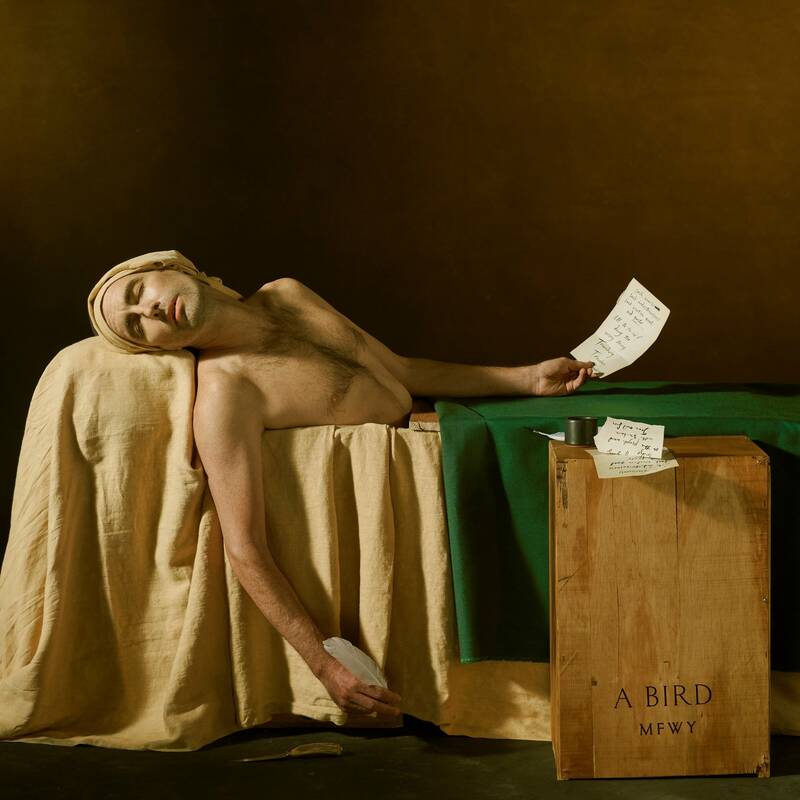 Some 20 years into his career, Andrew Bird is still making interesting music. I am not sure if his latest is his finest work yet, but it ranks right up there! Watch Andrew Bird play a Tiny Desk concert For this performance of three new songs, Andrew Bird comes with a stripped-down acoustic band. Watch video of Bird's Tiny Desk performance. Andrew Bird performs in The Current studio, 2016 Ahead of a sold out show at First Avenue in support of his new album 'Are You Serious,' Andrew Bird stopped by The Current to perform live in-studio and to chat with host Mary Lucia. On Andrew Bird's Latest, Real Life Takes The Reins 'All my songs are personal on some level; it's just a matter of how much that personal thing is buried.' Bird says that on the new album, 'Are You Serious,' his private world has bubbled to the surface. Andrew Bird talks new album 'Are You Serious,' collaboration with Fiona Apple Andrew Bird stopped by The Current ahead of his performance on 'A Prairie Home Companion' this weekend with host Chris Thile and Paul Simon to talk about his new album 'Are You Serious' and collaborating with Fiona Apple. Andrew Bird, Live In Concert: SXSW 2012 Andrew Bird's new 12th album, "Break It Yourself," is a brooding grower, not to mention a headphone record of the highest order. On the live stage, though, it's clear that Bird has become a cult superstar of the variety that attracts actual, real, live screaming fans. His music can be subtle and sweet, but Bird's concerts also bring out the fervent, electric energy of his following -- which, of course, helps coax out a showmanship that's not readily apparent in "Break It Yourself's" gentle, multilayered ballads.